Speakers were identified by the Program Committee. 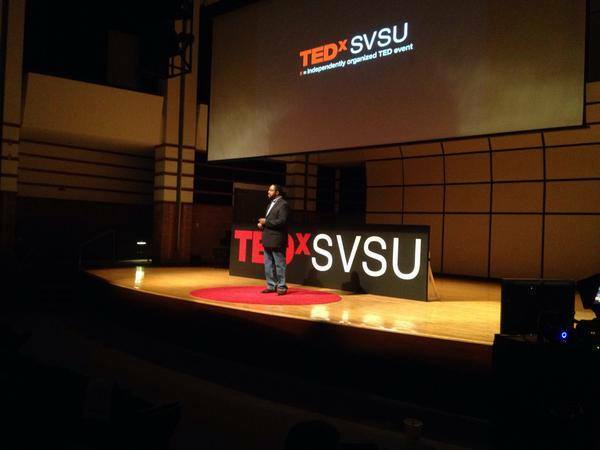 To volunteer to speak at future events, submit the speaker application to: TEDxSVSU@gmail.com. Volunteer speakers are unpaid, but they are guaranteed a free ticket, a reserved seat in the audience when they are not volunteering. Each talk will last about 10-15 minutes. Speakers will have 20 minutes maximum time, including time to be introduced and transition to/from backstage. See also: TEDx Speaker Guide. Speaker: Dr. Basil Clark is Professor Emeritus of English at Saginaw Valley State University. 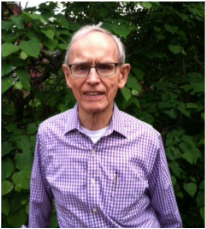 Dr. Clark has his Ph.D. from The Ohio State University and recently retired from SVSU after forty years of service. He taught a wide variety of English composition, language, and literature courses, with a particular interest in Old and Middle English literature. He is editor of the first volume of SVSU history, The Early and Formative Years, and contributing editor to the second, The Years of Growth and Maturity. 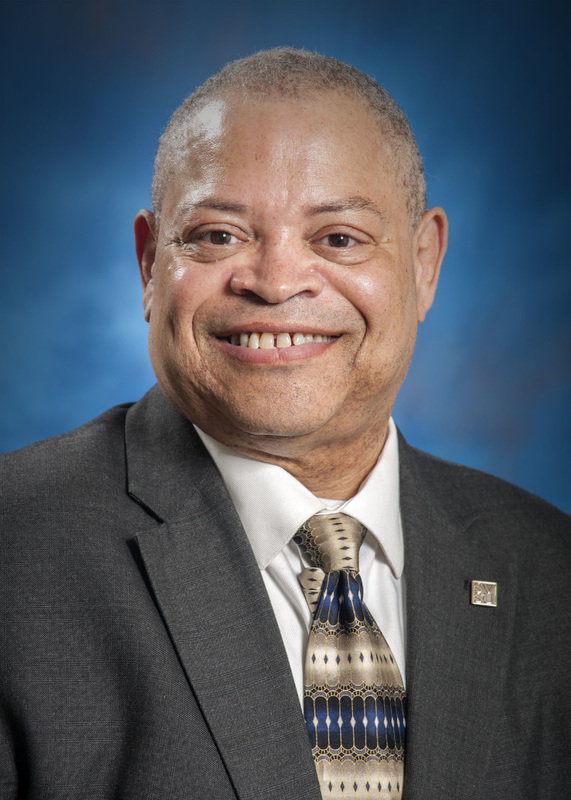 Speaker: Dr. Frank R. Hall joined Saginaw Valley State University as Dean, College of Science Engineering & Technology in June 2015. He brings a broad set of experiences in scientific research, education, and policy; and worked in academia, federal agencies, and non-governmental organizations on STEM related issues. Prior to coming to SVSU, Frank was a member of the Working Group to define STEM for the Commonwealth of Massachusetts, working to establish a definition beyond the acronym. Speaker: Jason Pockrandt is a fatherlessness expert, Transformation Coach, motivational speaker, and author. He is also the founder of Live To Give where he spends most of his days coaching fatherless men to become the husbands and fathers they were created to be. 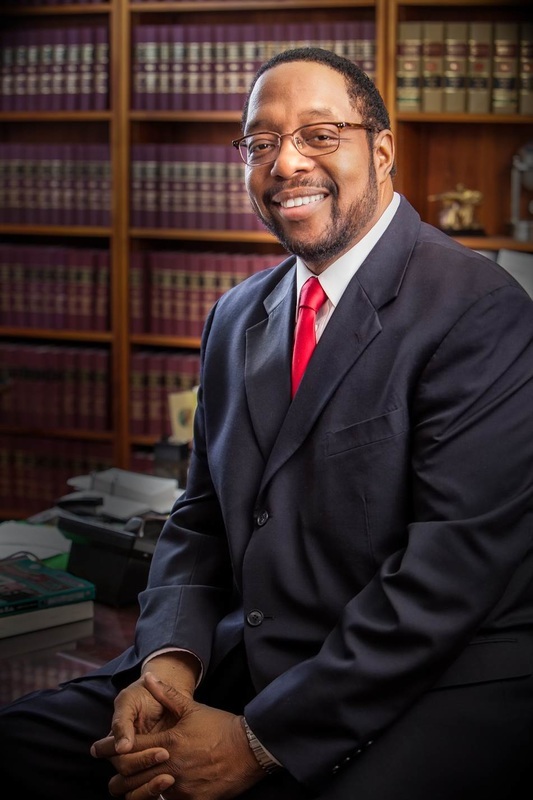 He has spoken for institutions such as Power of Dad, Teen Challenge, Bay Arenac ISD, The Rock Center for Youth Development and Good Samaritan Rescue Mission. His TEDx talk will inspire and motivate fathers around the world to re-evaluate their choices and the lives they are leading. Asking them the question. Will you choose today to become the father he couldn’t be and live a legacy worth leaving in your family and community? The choice is yours and the opportunity for change is now. Speaker: Team leader of the 4th all-time highest-ranked team on the largest super computing research project Folding@Home. 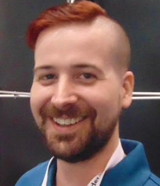 Developer of a secure currency earned by doing research. Respected strategic visionary for IoT. Topic: Simplicity of parenting and discuss why Pinterest has it all wrong. 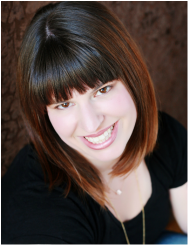 Speaker: Kate Cardinali, the owner of Innovative Media & Design, is avid about propelling companies, creating success stories through engaging design and marketing solutions. In the midst of this, Kate is an active mother of three children under 5 years old who still finds time to lend a supportive hand by volunteering for local non-profit organizations and events. Speaker: Margaret Arnold is a Safe Patient Handling and Early and Progressive Mobility Consultant, and owner of Inspire Outcomes LLC. She also continues to practice Physical Therapy at McLaren-Bay Region, in Bay City, Michigan. Margaret has over 20 years of experience as a PT, specializing in back injury prevention, industrial rehabilitation and ergonomics. Speaker: Mike Mosher is a Professor, Art/Communication Media Administration at Saginaw Valley State University. Artist, adventurer and educator, his books include Creating Web Graphics, Audio & Video (2002, with Roger Shepard), two textbooks published in Japan (2005, 2008, with Noriko Uosaki) that teach English via rock and pop song lyrics, and illustrations for David Smith's cartoon biography Orwell for Beginners (1984). Before he came to SVSU in 2000 from California, Mike had been a community muralist for the San Francisco Art Commission, and a Senior Graphic Designer at Apple. Speaker: Tracy Weber, Ph.D. is a recognized leader in equine-assisted learning (EAL), a university professor, an author, and entrepreneur. In addition to her state-of-the art facility in Michigan, she has facilitated EAL learning programs throughout the world, including Dubai, Croatia, Puerto Rico and several states in the US. Her engaging presentation will prompt spirited dialogue about humans becoming more horse-like.